Panama haas gone off the deep end, in its attempt to evade international accountability for the rampant money laundering which pervades its banking system. In what appears to be a desperate move to compel the EU to remove the tax haven designation it has placed upon the Republic of Panama, The country's Deputy Foreign Minister has threatened to retaliate against the individual countries that are members of the European Union. 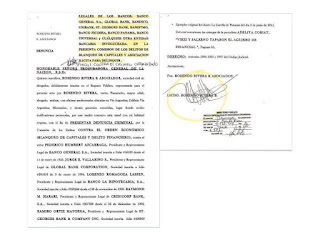 The deputy, Luis Miguel Hincapié, has arrogantly, and incorrectly, invoked Public Law no. 58, of December 12, 2002*(, which establishes retaliation in cases of foreign discriminatory restrictions. Panama is, in essence, asserting that the EU is discriminating against it by declaring the country a non-cooperative tax haven. This is an arbitrary, and improper, application of the law, purely for political purposes, and Panama will lose what little credibility its government still has, should it actually levy a monetary penalty, which the law calls, for, upon countries of the EU. Does the term "Banana Republic " come to mind here, or an I the only one who sees this action as a joke ? 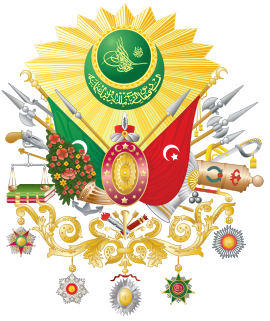 Recent events in the Middle East, regarding Turkey, are disturbing, and any one of them could harm its domestic economy, cause internal instability, and might even result in armed conflict. These may appear to be unrelated matters, but they are indicia of trouble heading directly towards Turkey's government. (1) In the recent election, the nationalistic party in power lost its majority. (2) Turkey continues to serve as a headquarters, and safe haven, for international operations of Hamas, which is a Specially Designated Global Terrorist organization (SDGT). Several Turkish "journalists" were denied entry to Israel, after the authorities alleged that they were closely linked to Hamas. (3) Turkish goods, which cannot travel overland to customers in Jordan, through Syria, due to the civil war, are now no longer being shipped into Haifa, in Israel, due to Turkish political considerations. (4) The President of Turkey has openly stated that he will not allow the Kurdish Syrian opposition to the Assad Regime to create a Kurdish nation in their area, which borders Turkey. His nationalistic policies have observers concerned that he intend to bring back a dominant Turkey to the region. (5) ISIS/ISIL, which is winning its war against the Syrian Army & its Hezbollah and Iranian mercenary group, may very well end up occupying territory on the Turkish frontier. Will ISIS cross the border, and face off against the Turkish armed forces ? (6) The so-called Turkish Republic of Northern Cyprus is in talks with the EU-member Republic of Cyprus, to explore unification. Northern Cyprus is supported by the Turkish Army; how will a political solution in Cyprus play out in Ankara ? (7) The country's president has arrogantly invited the Muslim world to occupy Jerusalem, which opens the door to yet another unwanted Arab-Israeli war. Will Turkey end up as the eighth Middle Eastern country to have opposing armed groups seeking to defeat each other in battle ? Whether this happens in 2015, or not, the risk factors listed above are sufficient to justify an increase in Country Risk, at this time. The team of attorneys engaged to seek a new trial in the case against arms trafficker Viktor Bout, has filed their much-anticipated motion & memorandum in US District Court in New York. Signed by the Russian-American attorney, Alexey Tarasov, the memorandum is based upon information obtained from a computer said to have been in the possession of co-defendant/co-conspirator Andrew Smulian, which was reportedly made available to Bout's counsel subsequent to his trial and conviction. (1) "... Bout's conviction should be set aside, because Smulian apparently had knowledge of the operation against Bout, before the meeting in Bangkok, and there was no shared intent between the parties to a purported conspiracy." Documents recovered from Bout's computer are alleged to include evidence that Smulian has been solicited to participate in an undercover law enforcement operation, prior to the sting, in 2005. Also, the entries show that Smulian knew that Snow was working as an agent for MI6 & the DEA. Therefor, there was no intent to form a conspiracy. (2) "Newly discovered involvement of the US Attorney's Office, in persuading this Court to excise its adverse credibility findings, warrants a hearing as to the circumstances leading up to the Court's withdrawal of its credibility determinations, and the prosecutor's discharging the duty to inform the Court of misleading testimony before the Grand Jury." 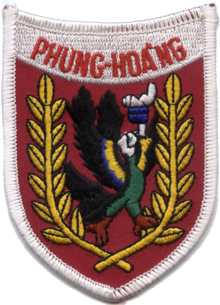 The Court, prior to the trial, found made an adverse credibility determination, regarding a DEA agent involved in the Thailand arrest; The Government prevailed upon the Court to delete that finding, in connection with the Court's suppression of Bout's post-arrest statements, but the fact that the agent had testified before the Grand Jury was not conveyed to the Court, which Bout's counsel argues casts doubt on the validity of the indictment. Also, was the Government's conduct improper ? (3) "New trial should be ordered because the evidence showed that Smulian misled the jury, when he testified that Bout called a Bulgarian arms supplier for surface-to-air missiles." According to the memorandum, Bout never called Peter Mirchev, a source for missiles, and Smulian's testimony to the jury was false. Apparently, Smulian's testimony about the call came as a surprise to Bout's trial counsel, and it was physically impossible to obtain evidence to rebut that statement, making a Mirchev affidavit obtained post-trial newly-discovered evidence. The alleged conversation had as significant impact upon the jury, and the outcome would have been different, had evidence controverting the Smulian testimony been introduced. Without the evidence that Bout could have acquired the missiles, the Government's case would have been insufficient to sustain a conviction, and the resulting 25-year sentence. 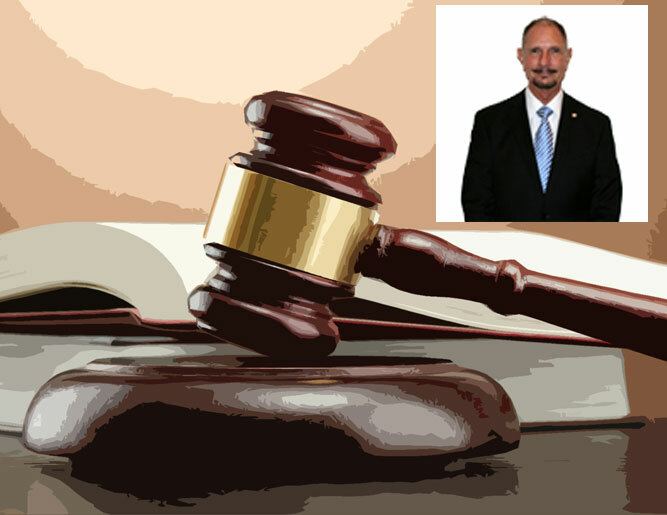 Bout's counsel is seeking a hearing, and a New Trial, pursuant to Rule 33. 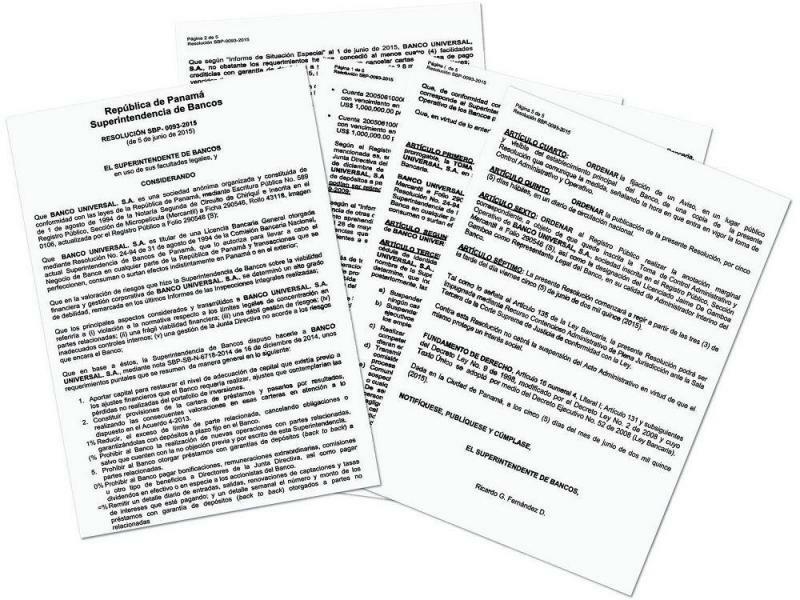 There are extensive exhibits attached to the memorandum, in support of the motion. The Government's response is due August 6th. The Panamanian Foreign Ministry has demanded that the European Commission revisit its designation of the country as a non-cooperating tax haven jurisdiction. The government agency stated, in a press release, that the EU decision was "not grounded on an objective evaluation." Panama was placed, last year, on the Financial Action Task Force (FATF) "Grey List," and it is feared that it will, in 2016, make the organization's Black List, due to the rampant money laundering, and terrorist financing, occurring in Panama City banks. AML/CFT compliance is effectively ignored in the banks, in favor of the lucrative accounts of corrupt PEPs, from both Panama & Venezuela, and narcotics profits. The new, reformist government of President Varela, has, thus far, failed to attack bank money laundering, although the anti-corruption campaign has been targeting corrupt former government officials, who have bled billions from the government treasury, and taken illegal insider trading profits. Unless and until there is real AML in Panama, it is not expected that neither the European Commission, nor the FATF, will back off, in their designation of Panama as a tax haven. Now that we are watching the FIFA corruption scandal unfold, it might be best if compliance officers at banks whose clientele include the world's professional soccer players examine their accounts as well. 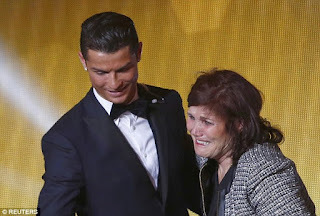 Here's why: The mother of the prominent European soccer star Christiano Ronaldo, who attempted to depart Spain with €55,000 in cash, was briefly detained by the authorities, and €45,000 was seized from her, after she failed to disclose the origin of the money, when interviewed. She was permitted to depart with €10,000 the maximum amount that Spain allows travelers to leave the country with, when they do not report the personal movement of currency. Whether there will be subsequent charges filed is not known at this time. What's a grandmother doing with all that cash ? Gabriel Btesh, the Panamanian businessman who hastily relocated to the Middle East after he, and several of his associates, became the targets of an investigation by the country's Anti-Corruption Prosecutor, may not taking advantage of his new home for long. You will recall that he is busy moving his family out of Panama, a clear indication that he will not be coming back, but he may find himself back in Panama nevertheless, or in the United States, for criminal prosecution. His reputed narcotics involvement was responsible for the loss of his US visa, years ago. 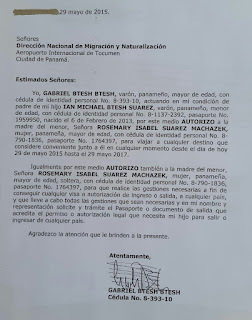 (1) The authorities in his present domicile have reportedly stated that they not only do not want him as a permanent fixture, but that if they had advance notice of his activities in Panama, he would not have been welcomed. He cannot be extradited, true, in his present location, but as you know, he may be compelled to leave. (2) Some of his former "partners" in Panama, upset at his unannounced departure, have allegedly made plans to have him brought back to Panama. It appears that bounty hunters may be in for some new business. 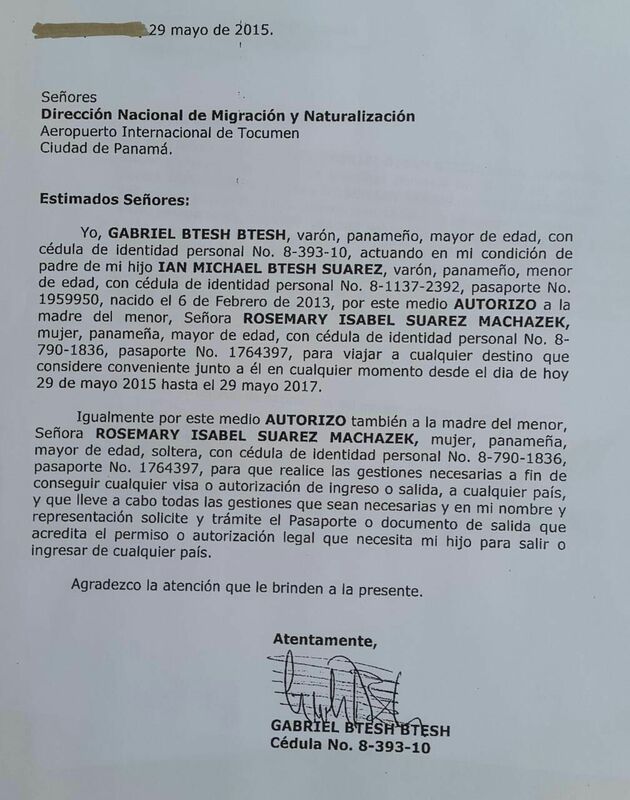 Btesh has full-time armed security, but he has made some major enemies in Panama. (3) Btesh, whose close relationship with convicted Pyramid/Ponzi schemer, David Murcia, resulted in his receiving not only a carload of Murcia's smuggled bulk drug cash, but several Murcia real estate holdings in Panama as well, has been implicated in most of the major corruption scandals that have rocked Panama. Does he really think he will escape justice, as one of the biggest players ? Murcia is obviously cooperating with American authorities; he was removed from a Federal Prison, where he was serving a long sentence. Murcia's testimony could place Btesh in prison for the rest of his life. 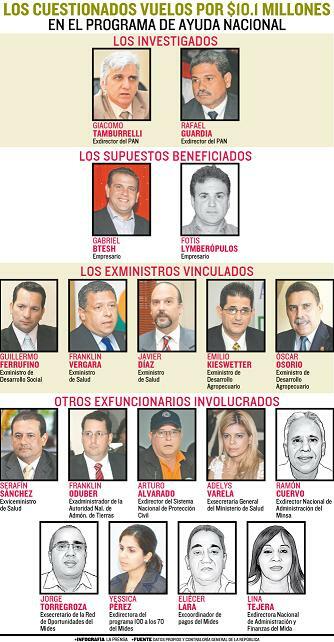 Btesh, in the dock in Panama, could implicate many of Martinelli's Cabinet, including some who have heretofore escaped prosecution. Will it come to pass ? WAS MONEY LAUNDERING ARREST OF FORMER PRIME MINISTER LINKED TO THE WEST A POLITICAL ACT ? We talk all the time about criminal charges filed in Venezuela, against opponents of the regime in power, for political reasons, but this week we saw such a case being brought in the Palestinian Territory of the West Bank (Judea & Samaria), The former Prime Minister of the Palestinian Authority (PA), Salam Fayyad, was charged with money laundering. The case is interesting, since this type of crime is rarely the subject of trumped-up charges, because the evidence cited usually is bogus. 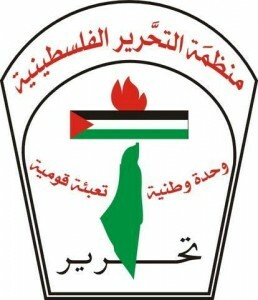 Fayyad, who operates an NGO that engages in projects in the Territories, is not member of Fatah, the dominant political party in the West Bank, and was supported by the United States and the West. 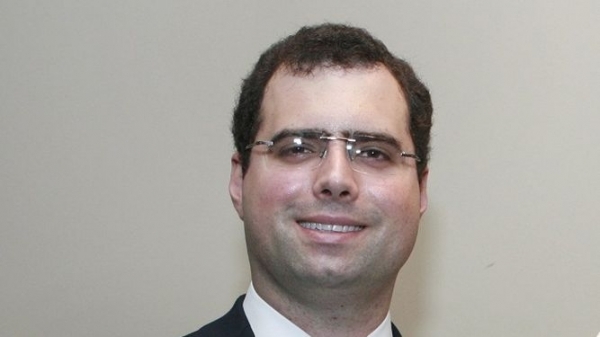 It is probable that reason that the PA brought these charges, which appear to relate to Fayyad's funding from the UAE, have no factual basis, and were brought for purely political reasons. Fauyyad is associated with Fatah's most popular political challenger, Mohammed Dahlen. What is unusual is that the Palestinian Territories, where corrupt PEPs launder aid money, and become rich at the expense of Western donors, notably the EU, rarely if ever bring charges of money laundering against anybody. That is how one knows the case is political. The news of the $2bn Obebrecht corruption scandal, and the arrest of the company's CEO, has now exposed yet another illegal act, committed by by Alberto Diamond R, Panama's fugitive former Superintendent of Banking. Sr. Diamond reportedly approved the movement of millions in corrupt proceeds of Odebrecht, and of dirty politicians, through Panamanian banks, effectively laundering them, before they were sent on to banks in Switzerland, Monaco, and other offshore financial centers. As the sins and transgressions of Alberto Diamond mount up, the failure, to date, of the Anti-Corruption Prosecutor's Office to charge him cannot be explained. If not for Diamond's collusion with Panama's money laundering banks, who paid him handsomely to stick his head in the sand, while they filled his pockets, much of Panama's problems could have been averted. The EU would not have placed Panama on its list of Non-cooperative Tax Havens, and the FATF would not be knocking on the door with its Blacklist, if Diamond had just done his job as banking regulator. I ask the Attorney General of Panama: when will he be charged, and brought to justice ? When the United States recently named Lebanese businessman Kassem (Qasem) Hejeij as an SDGT, for his reputed direct ties to Hezbollah, he promptly resigned as Chairman of the Board of Middle Eastern and Africa Bank SAL (n/k/a MEAB Bank), a privately-owned financial institution whose office is listed as located in the Hejeij Building in Beirut, in favor of his son. The bank's media then declared that the senior Mr. Hejeij no longer held any office with the bank, nor any ownership interest. Israel asserted, back in 2006, that the bank was one of the three Lebanese banks that supported Hezbollah, and that this allegation was reported by American media, after which the bank retained a major Washington law firm, and prominent lobbyists, according to published reports. This raises the issue : has OFAC declined to sanction MEAB Bank, due to political pressure from the Beltway ? 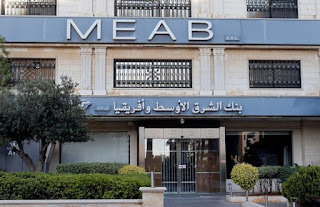 Wachovia (whose abysmal compliance program was a major reason for its abrupt demise) terminated its correspondent relationship with MEAB, after journalists were able to establish that contributions to Hezbollah were being funneled through an account at the bank. Why did OFAC ignore this incriminating information ? There is another issue: is there an Iranian connection ? The fact that the bank is known to service Shiite clients, and has branches in Baghdad and Basra, surely raises risk levels. Global sanctions against Iran remain in place notwithstanding all the news about negotiations over the WMD program. For obvious foreign policy reasons, and to the distinct disadvantage of the American banking community, the United States has avoided sanctioning Lebanese banks, when it should have done so. Is that the second reason that MEAB Bank has not been sanctioned ? Compliance note: if you want to know who the MEAB officers and staff members are, thirty of them are profiled on LinkedIn. 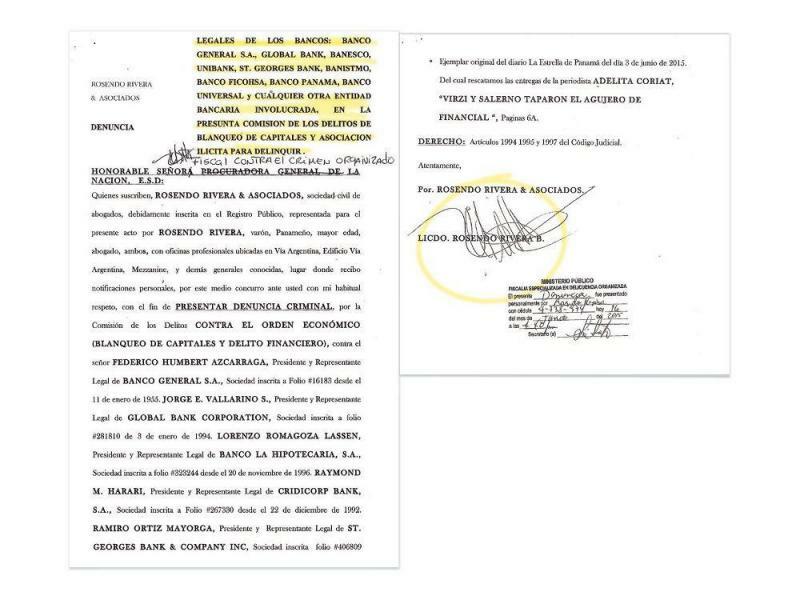 A Denuncia Criminal, filed this week with Panama's Organized Crime Prosecutor, has alleged that thirteen major Panamanian banks accepted funds stolen or diverted from the PAN project. The attorney has chosen to assert the claims against the banks through the legal representatives of the respective financial institutions, who are named in the filing. With the understanding that these are only allegations, but also bearing in mind that there have been public disclosures of damning evidence implicating some of these banks, I am identifying them for the benefit of compliance officers at financial institutions in the US & Canada. I leave it in your hands what you do with the information, but in a world where rumors abound of North American banks that will not accept any wire transfers from Panamanian banks, in excess of $2500.00, and amid well-placed fears of compliance avoidance at some banks, your bank should decide its level of risk appetite, and govern itself accordingly. The Attorney General today reported on massive indictments, for Medicare fraud, filed in US District Courts in several states. Bankers in South Florida, whose clientele includes Medicare providers, might be well advised to run the 73 names of those charged against their client lists. You can see the names on the Department of Justice article here. WILL EU DESIGNATION OF PANAMA AS INTERNATIONAL TAX HAVEN PUSH IT ONTO THE FATF BLACKLIST ? 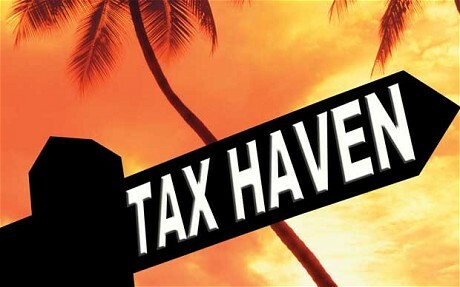 The European Union this week published its first list of 30 international tax havens, and the Republic of Panama appears on the list. While no EU sanctions, or punitive measures, will result from this action, there will certainly be consequences in another arena. By the EU designating these countries as the "top 30 non-cooperative jurisdictions, consisting of those countries or territories that feature on at least ten member states' blacklists." will not win Panama any points with the Financial Action Task Force (FATF), which could change its present classification of Panama from the "Grey List," to the worst category, commonly known as the Black List. 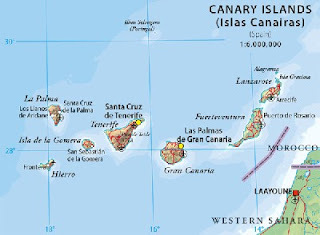 Panama, which speedily passed additional AML/CFT legislation earlier this year, is presently embroiled in the PAN governmental corruption scandal, and should money laundering charges be filed against several local financial institutions, as has been rumored, the chances that the country will receive favorable treatment from the FATF will be reduced from slim to virtually none. Between the PAN scandal, and the Financial Pacific/Petaquilla Mining scandal, a large number of Panama's banks are alleged to have accepted huge sums for deposit, from government officials and employees, with absolutely no compliance performed on Source of Funds. If thirteen banks are charged with money laundering, due to PAN, as is rumored, look for Panama to be blacklisted by FATF, either late this year, or in early 2016, and many observers feel that it is richly deserved, for the AML/CFT compliance at many local banks is pure fiction. The impact of Panama being placed in the same category as a country like North Korea cannot be underestimated; expect serious capital flight, a massive increase in Country Risk, and a huge drop in new foreign investment. A large number of law enforcement investigators from the United States have come into the Republic of Panama during the past two weeks, and their presence has disturbed those Panamanians who have something to hide. Agents from the Federal Bureau of Investigation, the Drug Enforcement Administration, and even the Securities & Exchange Commission, are in Panama, in numbers that have not been seen in recent memory. Why the fear and loathing ? Although the new reform government has been fully engaged in the investigation of several different cases, involving corruption and insider trading, locals know that, due to Panama's inefficient, and notoriously corruption-riddled justice system, guilty parties may never go to trial, individuals who have been engaging in illegal activities are fearful that these American investigators will ultimately accumulate sufficient evidence to cause them to be charged in the United States. Thus, the threat of American prosecution represents a clear and present danger to them. 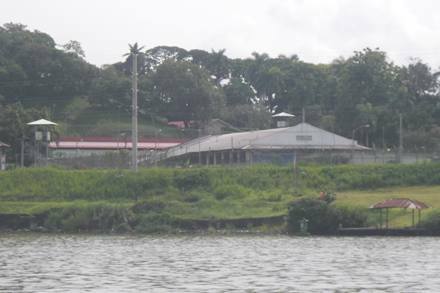 Though some in the Panamanian government have been notably less than cooperative with American investigators, their work appears to be proceeding at a rapid pace, especially the insider trading case involving Financial Pacific, Inc./Petaquilla Mining, where many Americans and Canadians were defrauded out of millions of dollars, and where many of the offenders were then senior members of the Cabinet of the former Panamanian President, Ricardo Martinelli, who also made illegal profits in that case. Several former ministers have had their visas to enter the United States revoked, and their crimes are believed to be the reason of those official actions. Though it is rare that former leaders of foreign states have been charged in the United States with a crime, it is not unheard of. Martinelli's present location is not known, though he purchased an estate in Paraguay before leaving office. The discomfort of those involved in illegal activity in Panama is increased by the fact that, unless and until those charged are in American custody, criminal indictments in Federal Court in the United States are sealed, and whether a specific individual is named cannot be verified, with any degree of assured accuracy, by their attorneys, for that reason. Certain Panamanians continue to be uncomfortable when they learn that still more US agents are on the streets of Panama City, and they wonder whether they will be in an American courtroom anytime soon. WHY DO PEOPLE WHO LIVE IN TAX HAVENS LIVE LONGER ? 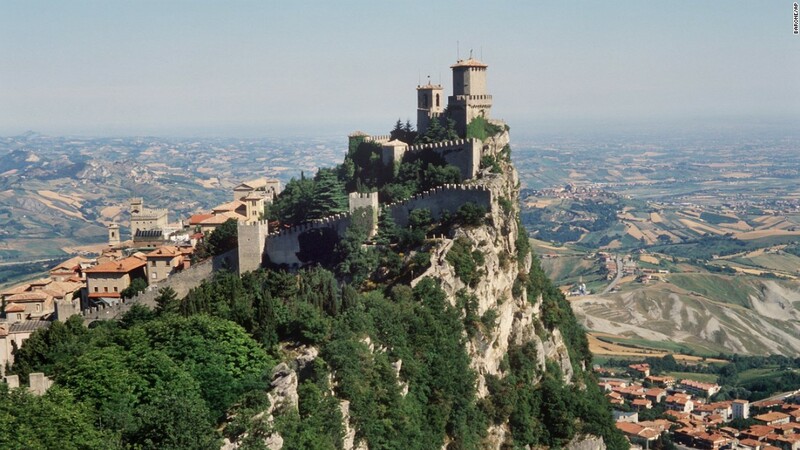 When the list of the top ten countries, where the residents live longer than the rest of us came out, I noticed something strange: six of the ten are tax haven jurisdictions (or offshore financial centers, as they like to be called). 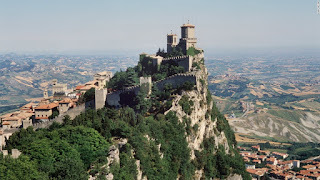 What is it about these places that promote a longer lifespan ? (A) Residents of these countries and territories do not have a tough commute to work. (B) These are not urban areas with concentrated populations. (C) Environmental dangers are not present. (D) Their work schedule, while responsible, is not a frantic, crazy, New York City eighty hours a week schedule. These people do not work weekends. (E) Balance between work and home life is more normal than urban lifestyles. A more intangible aspect: by and large, the residents of these places are happy about where they live. Of course, the fact that some of them are earning a substantial amount of money from participating in tax haven activities may also add to their happiness quotient, and therefore, their lifespan. HSBC: TWO STEPS FORWARD & THEN FOUR STEPS BACK, ON AML ?? What on earth is going on with HSBCs frequently dysfunctional compliance program ? In 2012, I wrote about my misgivings, concerning HSBCs abrupt, and total, closing of its Buffalo, New York Regional Anti-Money Laundering Center, which had a staff of 77. You can read my article here. Now, major media is reporting that HSBC will cut 25,000-50,000 jobs, which obviously includes AML/CFT. I get it, the bank needs to reduce overhead. Why did I read an advert, yesterday, where HSBC is advertising for an AML compliance officer, in Buffalo, once more ? can't they make up their minds about keeping their AML staff ? One more item: listed job description for the AML compliance officer job, which only asked for two year's experience, and a Bachelor's degree, detailed such a huge list of responsibilities and duties, that I doubt even the head of FinCEN could properly handle. I have had 35 years of experience, and I confess the tasks assigned in the job description might require 60-70 hours a week to perform. HSBC management wants all of this from a junior compliance officer ? If you overload your compliance officer, who are relatively inexperienced when they arrive in your office, compliance malpractice will result. An anonymous lawyer, responding in the comments section of this blog, and obviously acting on behalf of the former Panamanian Secretary of Banking, Alberto Diamond R, has threatened legal action against your writer, though he has not stated that he represents Diamond. In a letter that first defined defamation, and then stated that I should delete the article, lest I be sued for damages, it arrogantly asked me whether I had any proof of Diamond's misconduct. Mr. Attorney, I do not scare easily. Do you not know my background ? (1) Alberto Diamond R publicly stated, on the record, and to a Panamanian journalist, who subsequently printed it, that he had been responsible for seventeen billion dollars entering the Panamanian banking system. Venezuelan nationals did not, at that time, have anywhere near seventeen billion dollars in legitimate capital, in US Dollars, available to invest, anywhere. This is a statement of fact; does Diamond propose to prove otherwise ? (2) During his tenancy, not one single money laundering investigation was filed by his office, let alone any convictions, in the banking sector, for money laundering. That is a verified fact. (3) Alberto Diamond abruptly disappeared from Panama when he left his office, and he cannot be found at this time; He fled the country. I wonder if the anonymous lawyer, who declined to identify himself, know that I received my law degree long before he ever did. You will notice that he is claiming defamation of character, because the defense to libel and slander is truth. His character is already in the toilet, due to his corrupt conduct. I challenge Sr. Diamond to come to the United States, and file his civil claim against me, for he probably fears arrest upon arriving here, and either a criminal charge in the United States, or extradition back to the Republic of Panama, because Diamond is under investigation there. Remember, if Diamond stays out of the United States, in hiding somewhere, and files a civil suit against me, he will be required to come to the US for a deposition, which he will decline, for the reasons that appear in the previous paragraph. I cordially invite St. Diamond to come to Miami and file his suit. The list of Panamanians, and Americans and Canadians who want to sue him, might keep him busy here. We have laws in the State of Florida about frivolous litigation, Fla. Stat. § 57.105, and those laws provide for the award of attorneys' fees against not only the plaintiff, but his attorney as well. The OFAC notice which appeared last week, covering the retirement of specific independent data files and their consolidation, should serve as a timely reminder of a problem with certain Palestinian PEPs who pose a unique compliance burden; they are not SDNs, but you are nevertheless prohibited from dealing with them, as all "transactions involving these individuals must be rejected." Known as the NS-PLC list, it consists of the names of members of the Palestinian Legislative Council who were elected on the political party slate of Hamas, or another sanctioned entity, but do not appear on the SDN list. If you are foolish enough to limit your query to the Specially Designated Nationals, or SDN, list, you will not find these individuals, and you may erroneously permit a transaction. if you are not familiar with the PLC list, and you are banking Palestinians, it is suggested that you download the list, and keep it for future reference by your compliance staff. it can be accessed here. There has not been an election for the members of the PLC since 2006, due to the split between Hamas, ruling in the Gaza Strip, and the PA/Fatah, governing in the West Bank; the listed members continue to serve, albeit in a dysfunctional government. Note: NS stands for "Non-Specially Designated National." DO THE DIRECTORS & OFFICERS OF FINANCIAL PACIFIC HAVE ACCOUNTS IN BANKS IN NORTH AMERICA ? With all the focus upon the obscene amount of illicit profits, taken by Ricardo Martinelli and his Cabinet, in the Financial Pacific, Inc. insider trading scandal, we do not want to ignore the staff at FP who facilitated these illegal transactions, and probably earned a lot of money for committing their criminal acts. 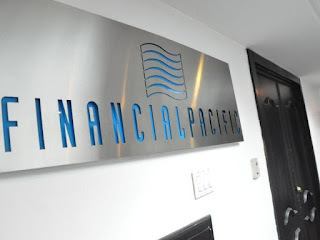 Let us now identify those individuals at Financial Pacific, for they probably have hidden their criminal proceeds in financial institutions, and/or brokerage houses, in the United States and Canada. We hasten to state that all suspects are innocent, until proven guilty in a court of law, but strictly for compliance purposes, it would be prudent to ascertain whether any of these individuals have accounts with you. Regular readers of the Financial Crime Blog know that the former Panamanian Superintendent of Banking, Alberto Diamond R, who fled from Panama when he left his position, boasted openly that he was responsible for the arrival of $17m, in Venezuelan capital, into Panamanian banks. However, what we have not previously covered is Diamond's approval of the purchase, of large amounts of stock, of Panama's biggest banks, from Venezuelan nationals who would not have passed even the most rudimentary due diligence investigation, prior to purchase. Diamond covertly signed off on several major Panamanian bank stock purchases, made on behalf of some of Venezuela's most corrupt PEPs, who are referred to in the local press as the Bolivarian Elite. 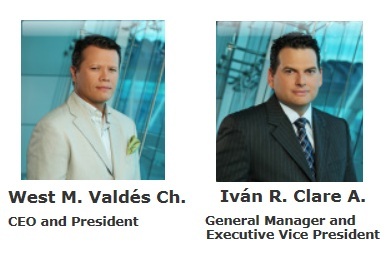 these are amoral Caracas businessmen, whose illicit relationship with senior government officials, generate billions of dollars, much of which comes from obscenely overpriced government contracts, bribes & kickbacks, back room deals that take money from the people of Venezuela, narcotics trafficking, and financial transactions that are padded to include undisclosed "commissions" and payments. Additionally, Diamond's most unpardonable sin: allowing senior Venezuelan government officials, reportedly including the country's president, Nicolas Maduro, to buy stock in Panamanian banks, with bribe and kickback money, in amounts that far exceed their salaries and legitimate assets. That money, by no stretch of the imagination, is suitable for the purchase of shares of stock in Panamanian financial institutions. A large portion of it was bulk cash smuggled into Panama's Albrook International Airport, and couriered directly into Panama City banks, meaning that there is no paper trail for investigators to follow, in tracing the beneficial owners. None of the Venezuelan buyers, and their nominees or shell companies, should have ever been approved for bank stock purchases, and Panamanians have Alberto Diamond R to thank for it; he reportedly received huge bribe payments to facilitate the transactions and he has now left Panama, for parts unknown. Now Panama, whose new reform government is trying to clean up the systemic bank and government official corruption, faces an uphill battle, which it may not win. It is a shame that Panama abolished the death penalty in the Constitution of 1941, for Diamond's crimes are so monstrous that a life sentence seems inadequate. He has blackened Panama's financial image so badly, that Panama's relegation to the FATF blacklist, the graveyard for non-cooperative jurisdictions, beckons on the horizon. (1) Sending dollar amounts inconsistent with family support payments. (2) Large amounts sent within a short period of time. (3) Large dollar amounts, sent without any apparent business or lawful purpose. (4) Transactions sent to multiple beneficiaries in different locatiobs in yemen. (5) Multiple sends, within one business day, below the recordkeeping threshold. SAR filings ? Forget about it. There was ZERO compliance. Will more financial professionals be forever barred from the industry, when they violate AML/CFT regulations ? We cannot say, but we will be watching. Readers who wish to review the complete text of the FinCEN Assessment can find it here. *Ali Al Duais; the MSB was King Mail & Wireless, Inc. A successor MSB by this individual was known as Al Malik Wireless, Inc.
Alberto Diamond: on the take. The public servant most responsible for Panama's probable future placement upon the FATF blacklist of uncooperative jurisdictions, is its former Superintendent of Banking, Alberto Diamond R. His abysmal job performance, where there were no money laundering investigations or arrests during his tenure, was only eclipsed by his obscene amount of corruption. He was accepting huge bribes, from the very banks that he was supposed to be supervising, to close his eyes to the massive amount of money laundering, and of providing financial services to terrorist organizations. If you were in business in Panama, you stood an excellent chance that he, through his associates, would ask you for a $50,000 bribe; should you not pay it, your local bank accounts would be closed, and letters about your alleged criminal activities circulated throughout Panama's business and professional community. He took inappropriate and improper legal action against private parties who would not give accede to his bribe demands. he used his office for personal gain, and to punish anyone who would not cave in to his greedy demands for payment. This so-called public servant needs to be incarcerated for the rest of his natural life, due to the damage he has inflicted upon Panama. This man is evil, plain and simple; he allowed a huge expansion in the amount of drug profits being laundered through cooperating Panamanian banks, which resulted in Panama's placement on the FATF Grey List, and its probable descent into the depths of the Black List. That is sinful, and justice demands that he pay the price for actions; he has, literally, ruined Panama's international image regarding AML & CFT. Most observers view the country's compliance effectiveness as a bad joke. Why isn't this threat to public safety under arrest ? He wisely departed Panama, when the corruption-riddled Martinelli government was replaced by the current, reformist administration. Let us hope that he is apprehended, and extradited to Panama, where he can be charged with Abuse of Power, Money Laundering, and a boatload of other crimes, and that his millions of dollars in illicit wealth can be seized, and forfeited, in favor of the treasury of the Republic of Panama. 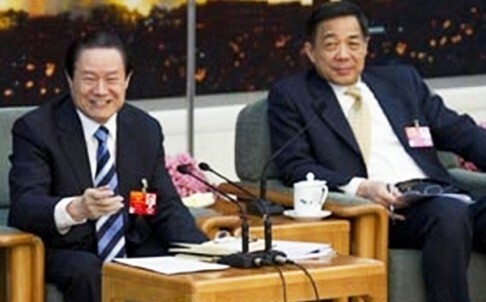 After a secret trial, Zhou Yongkang, the chief of China's domestic security apparatus, has been sentenced to life in prison, based upon corruption charges. He reportedly, according to official Chinese sources, accepted $21m in bribes, abused the powers of his office, and disclosed classified information. His punishment also included seizure of all his assets, and expulsion from the Chinese Communist Party. Politically, Zhou, who was said to be closely allied with the disgraced Chinese leader, Bo Xilai, may have fatally crossed Party leadership in doing so, and paid the price for his support of Bo. China claims that it has recovered the bribes and other items of value. Compliance officers would do well to appreciate that this very public case is intended to sent a blunt message to China's PEPs: if the government catches you accepting bribes & kickbacks, it could cost you the rest of your life. Expect that corrupt Chinese PEPs will probably now take extra care in obscuring their true identities, as well as the source of funds of their illicit cash, which they are moving overseas, to avoid discovery by Chinese authorities. While we generally avoid profiling, compliance officers at international banks engaged in offering private banking services should conduct enhanced due diligence on all ethnic Chinese, irrespective of whether their documents show they come from China, Hong Kong, Singapore, or other countries in Southeast Asia, for Chinese PEPs, anxious to hide their PEP status, may now be presenting, at account opening, bogus identities that pass all but the most detailed scrutiny. PANAMA'S SCANDALS EXPOSE ITS CORRUPT PRINCELINGS; SHOULD THEY JOIN THEIR PARENTS IN PRISON ? I am sure that you have read all about China's Princelings, the sons and daughters of famous Chinese government leaders, who mysteriously end up with millions of dollars, huge companies, and global holdings derived from back room deals, bribes and kickbacks, illegally received by their prominent parents, who are holding senior positions in the Communist Party. Well, Panama also has its share of obscenely wealthy young men and women, all of whom accumulated their wealth due their parents' corruption, and some of them are surfacing, since their parents are now under the microscope of Anti-Corruption Prosecutors. The photograph above is Alberto Diamond Martinelli, the young son of the disgraced fugitive former Superintendent of Banking, Alberto Diamond R. The ex-Superintendent, an accountant who got his job from his relative, Ex-President Ricardo Martinelli Berrocal, though totally unqualified for the position, is a fugitive from justice, partly because he followed Martinelli's orders to ignore the flood of dirty money coming into Panama's banks, and partly because he took bribes to close his eyes to money laundering and terrorist financing. While Diamond is gone with the wind, his son remains in Panama. Though only a young banker, he has inexplicably acquired millions of dollars, the origin of which is unknown. How can such a young man be so wealthy, on a banker's salary, you ask ? You can thank his corrupt father, who saw to it that his young"princeling" son was funneled a sizable portion of that dirty money coming in from banks who wanted the Superintendent to be deaf, dumb & blind in his job. Diamond Martinelli, a multi-millionaire, also owns substantial real estate, which is unheard of for someone in their twenties. Where did all the father's dirty money go, you ask ? The son is a banker at the Panama branch of a prominent Costa Rican bank, and Panamanian investigators would do well to examine all international wire transfers that bank officer Alberto Diamond Martinelli handled at that branch. 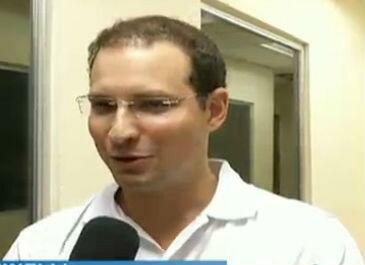 Will Panama's prosecutors see past the father, and investigate the son's ill-gotten gains ? Will they also charge him with money laundering ? We cannot say, but we hope that compliance officers start to take a hard look at any children of Panamanian officials, present or past, or of any other PEPs, for they have been hiding in plain sight long enough. A final note: we will be looking at other Panamanian Princelings in future articles, starting with the wealthy children of ex-President Ricardo Martinelli, Ricardo, Luis and Carolina; Watch for it. Remember the John le Carré classic, the Tailor of Panama ? In that tale, an intelligence source, working in Panama, fed ficticious information about a nonexistent conspiracy to his spymasters, with disastrous results. It appears that the exact opposite has been the case in the Republic of Panama, for past several years, and the information obtained is about to bear fruit. Two expats, living in Panama City, have been acting as whistleblowers, delivering intelligence, about the rampant corruption among the country's government officials, and in its banks, to the United States and Canada. Acting on their own, but with the authority of certain agencies, they have documented the criminal activities which have become common in Panama. Reliable sources have reported that these whistleblowers have made video and audio recordings, taken photographs, and collected physical evidence, implicating senior PEPs, and their bankers. Rumors have swirled around Panama of late that there will be multiple criminal indictments, filed in courts in North America, against many of the targets, and some of those individuals did abruptly leave Panama the moment that the Martinelli government left power. Others are known to have withdrawn from the Panamanian social scene completely, and have not been seen in public; whether they have now also fled is not known. 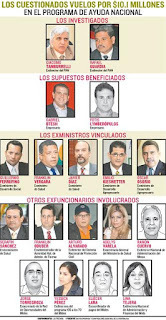 Don't be surprised to see news of the arrest of a number of prominent PEPs, all formerly ministers in the Martinelli Cabinet, but the important thing is that they will not be tried in Panama's corrupt court system, but in Miami, Washington, Toronto, or Ottawa. In the aftermath of the publicity over the massive corruption scandals roiling over Panama of late, and especially the Banco Universal intervention, Panamanians have asked whether their banks are safe. The country's financial regulator, the Superintendent of Banking, has publicly assured them that their money is safe, that the banks in Panama City are solvent, and that there is no danger. Unfortunately, this is not exactly true. (1) Ownership: several Panamanian banks are either owned outright, or controlled, through large holdings of bank stock, by Panamanian families with direct ties to organized crime. Some of these groups benefitted substantially from the Financial Pacific/Petaquilla Mining insider trading scandal. Panamanians have blinders on when it comes to the issue of who owns their banks. Will there ultimately be criminal charges filed, either in Panama, or in the US or Canada, which could affect the banks these criminals own ? (2) Dirty money:The acceptance of Colombian drug profits, Venezuelan bribe and kickback money, and funds whose ultimate recipients are designated terrorist groups, by many of the local banks, without question, or any AML/CFT compliance, puts those banks at risk for money laundering charges in the US. Should US regulators, for any of the valid reasons listed above, choose to bar an Panamanian bank from access to the US financial system, due to rampant criminal conduct, rapid insolvency of such a bank would be assured. In that case, Panamanians with accounts there, could lose everything. Let's be frank; the ease by which Panama's banks have accepted illicit funds may end up causing their demise. Therefore, the answer to the question is: if your bank has been accepting dirty money, or its owners benefitted in the Financial Pacific scandal, there may be untoward consequences that might ultimately result in the end of the bank's existence. For compliance officers, I offer this humble opinion; Country Risk for Panama has just climbed off the charts, especially given there are serious rumors of imminent American and Canadian indictments. Where there's smoke there's fire. 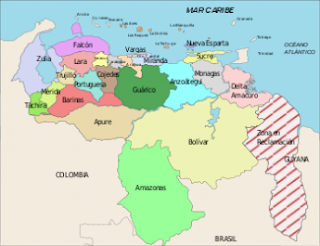 VENEZUELA PUSHES ITS NEIGHBOR, BUT IS IT RAISING ITS OWN COUNTRY RISK INSTEAD ? Last month, the Bolivarian Republic of Venezuela reasserted an old territorial claim against a large portion of the Cooperative Republic of Guyana, its neighbor to the east. This dispute, which was settled by an international tribunal in 1899, has been revived by the Maduro regime, most likely to distract Venezuelans from the economic free fall its socialist government has brought about. Dictators frequently use bogus foreign policy disputes to divert their population from the real issues at hand. The question is, will Maduro's actions against Guyana backfire, and drive Venezuela further into economic chaos? There could be serious push back from outside economic forces, if Venezuela makes a move against what it calls its "Reclamation Zone." 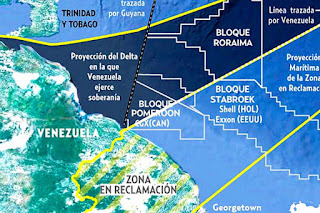 If you are a regular reader of this blog, you will recall that Venezuela seized and American oil exploration vessel, in Guyanese waters, a while back, claiming that it was poaching in Venezuelan territory. 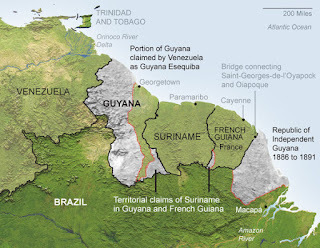 Now Venezuela's strongman has served notice of his intention to claim not just a large portion of Guyana's EEZ, but all its territory west of the River Essequibo. The claim, which has no legal basis, if asserted by a desperate Maduro, anxious to hold on to the presidency, in the face of domestic economic ruin, could further damage Venezuela. 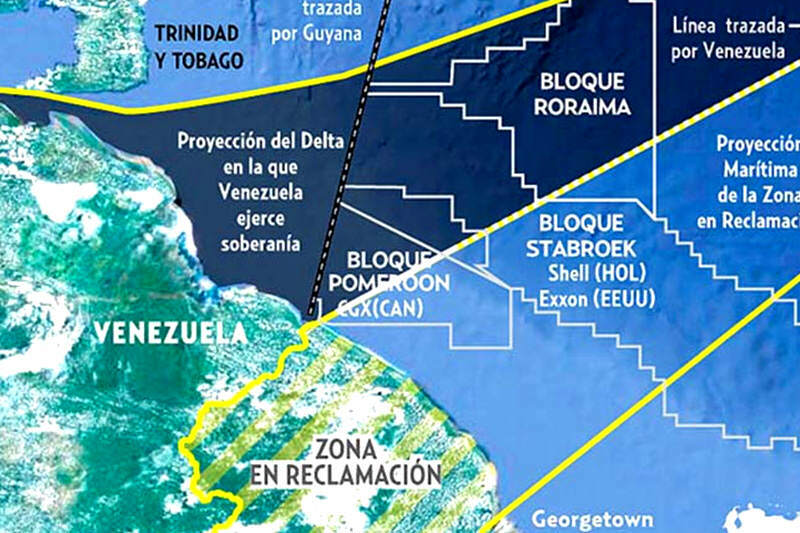 Any further military action in the oil-rich waters belonging to Guyana could frighten the global petroleum industry, to the point where it reconsiders any new projects in Venezuela, as well as scare the world's lending banks, as well as firms engaged in international trade with Venezuela. The fallout from any preemptive Venezuelan action could further damage the country's economy. Doesn't Venezuela have enough of the world's oil reserves ? It surely does not need to be manufacturing a previously-settled territorial claim, like Nazi Germany, to take territory that it is not its to take. The fallout could be lethal, Sr. Maduro, so try not to act like Adolph Hitler, lest the global response further pushed Venezuela into the toilet. Country Risk could reach unacceptable levels, and result in total capital flight. 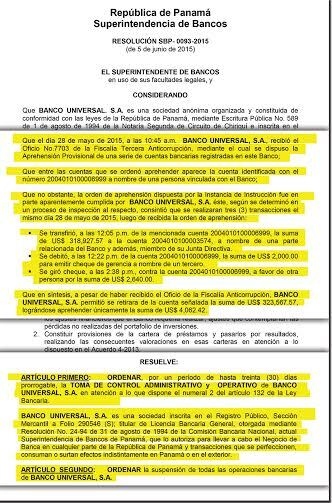 Panama's Superintendent of Banking has taken control of Banco Universal, after the bank arrogantly declined to obey an order, from the Anti-Corruption Prosecutor, freezing accounts estimated to contain over $40m. Not only did the bank refuse to obey the directive, it allowed large transfer of funds to a member of its board of directors, and to others, in clear violation of the governmental order. Unofficially, reliable sources assert that bank management refused to comply with the freeze order, until and unless former Panamanian Vice resident Felipe Alejandro "Pipo" Virzi Lopez, a corrupt PEP whose family owns a large portion of the bank's stock, was released from prison. Versi has been implicated in one of the country's largest corruption scandals to date. Other owners of the bank have been linked to Panama's largest organized crime group, which includes Panamanians known to be of Middle Eastern origin, and which has influence over every aspect of the local financial structure. The bank's assets, believed to exceed $300m, have been seized. Banco Universal, which the Anti-Corruption Prosecutor has alleged is guilty of anti-money laundering failures, was the willing recipient of several large cash deposits, made by convicted Colombian Pyramid/Ponzi schemer David Eduardo Helmut Guzmán Murcia, which were said to be the proceeds of narcotics trafficking. Although eyewitnesses reported these deposits to the then-Superintendent of Banking, no investigation was ever conducted, nor any arrests made. The Superintendent of Banking has taken a giant step towards cleaning up Panama's financial structure, and his actions should be supported. His predecessors were part of the problem but he is now part of the solution. The threshold issue with Panama's reformist government is this: will Panama now formally revoke the charter of a known money laundering bank, with a long and sordid history of criminal behavior, or will it be business as usual with money laundering and terrorist financing in Panama ? Unless a strong enforcement step is taken, Panama's other financial institutions will not fear their government, and continue to move dirty Venezuelan money, Colombian narco-profits, and transfer funds used to support several sanctioned Middle Eastern terrorist organizations. Panama appears to be at a crossroads; will its reform government continue to take off the gloves ? We sincerely hope that it does so.